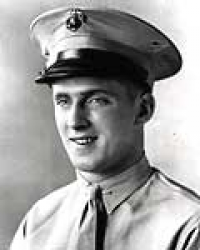 Corporal Charles Joseph Berry (10 July 1923 - 3 March 1945) was a U.S. Marine who was posthumously awarded the Medal of Honor for his actions during World War II. 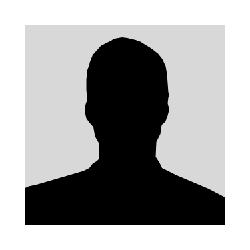 Charles Joseph Berry was born on 10 July 1923 in Lorain, OH, where he graduated from Clearview High School in 1941. After graduation he went to work as a truck driver for a moving company. He enlisted in the U.S. Marine Corps at Cleveland, OH, on 1 October 1941, when he was 18 years old. He received his recruit training at Parris Island, SC. He was then transferred to the Marine Barracks, Quantico, VA, but a short time later he was sent to Marine Barracks, New River, NC, where he entered parachute training. After qualifying as a parachutist, he was promoted to Private First Class on 2 June 1942. Berry sailed from San Diego, CA, on 11 March 1943, and arrived in New Caledonia later that month with the 1st Parachute Battalion. He left New Caledonia in September 1943. He arrived in the Solomon Islands a few weeks later and, in October 1943, went to Vella La Vella, where he remained for one month. In November 1943, he landed at Bougainville, and during that campaign, took part in the raid at Koairi Beach and in the Empress Augusta Bay action. Prior to returning to the U.S. in February 1944, he spent a short time at Guadalcanal. Following his arrival at Camp Elliott in San Diego, he joined the newly organized 5th Marine Division in early 1944. In July he departed for the Hawaiian Islands with that division. He was promoted to Corporal on 22 July 1944. He landed on Iwo Jima on 19 February 1945, and was killed in action on 3 March 1945, during the action which earned him the Medal of Honor. 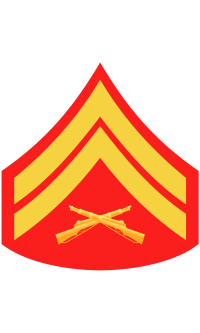 Rank and organization: Corporal, U.S. Marine Corps. Place and date: Iwo Jima, Volcano Islands, 3 March 1945. Citation: For conspicuous gallantry and intrepidity at the risk of his life above and beyond the call of duty as member of a machinegun crew, serving with the 1st Battalion, 26th Marines, 5th Marine Division, in action against enemy Japanese forces during the seizure of Iwo Jima in the Volcano Islands, on 3 March 1945. Stationed in the front lines, Cpl. Berry manned his weapon with alert readiness as he maintained a constant vigil with other members of his guncrew during the hazardous night hours. When infiltrating Japanese soldiers launched a surprise attack shortly after midnight in an attempt to overrun his position, he engaged in a pitched hand grenade duel, returning the dangerous weapons with prompt and deadly accuracy until an enemy grenade landed in the foxhole. Determined to save his comrades, he unhesitatingly chose to sacrifice himself and immediately dived on the deadly missile, absorbing the shattering violence of the exploding charge in his own body and protecting the others from serious injury. Stouthearted and indomitable, Cpl. Berry fearlessly yielded his own life that his fellow marines might carry on the relentless battle against a ruthless enemy and his superb valor and unfaltering devotion to duty in the face of certain death reflect the highest credit upon himself and upon the U.S. Naval Service. He gallantly gave his life for his country. The Erie Avenue Bridge in Lorain, OH, was re-named in 1988 to the Charles Berry Bridge in honor of Cpl Berry, a native son of the city. Corporal Charles Joseph Berry was killed in action on 3 March 1945. He was initially buried in the 5th Marine Division Cemetery on Iwo Jima but in 1948 his remains were moved to Elmwood Cemetery in Lorain, OH, in Lot 5248, Grave 1.